In the very last canonization ceremony of his pontificate, Pope John Paul II included Gianna Beretta Molla among the saints of the church. 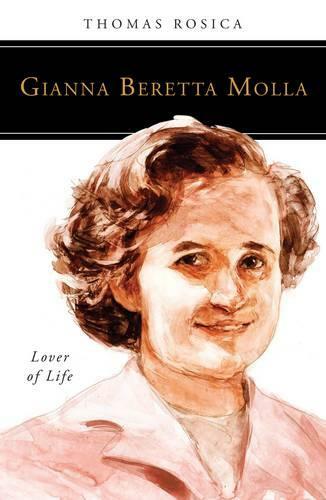 Before her death in 1962, Gianna lived the typical life of a modern wife, mother, and medical doctor-and yet she did it with an extraordinary measure of love and faith. She stands, therefore, as a powerful witness to people of our day. It is no wonder that Pope Francis has named Gianna patron saint of the 2015 World Meeting of Families in Philadelphia. In Gianna Beretta Molla, Fr. Thomas Rosica, CSB, a friend of the Molla family, tells Gianna's story as only he is able to do. He draws on his own personal conversations with members of her family, as well as original letters that Gianna wrote to and received from her beloved husband Pietro. His narrative brings to light a remarkable contemporary woman who truly lived a consistent ethic of life. She was a physician who died protecting the life of her own unborn child, and yet insisted by her own way of living that an authentic respect for human life will always call us to care for the poor and the weak at all stages of life. Readers will surely be inspired, strengthened, and moved by St. Gianna's story.